To list, contact Tom Gilchrist (tomg@luigirist.com) with your information. I am not responsible for the accuracy of this information and have no interest in these sales. Ebay is also a good place to find Luigi Rist prints. Some times the dealer will use the "live-auction" site and require bidders to pre-register for the auction. In these cases, the selling price of the print is not published. In normal Ebay listings, the selling price stays available for 30 to 60 days. Remember that most auction prices do not include the "premium" which can be as high as 20% of the selling price, and any taxes, shipping, etc. The advantage of the auction house is that you have a professional to help you with your bidding, answer questions before the auction, and provide after the sale support. Remember, that print condition can be very important to the value of a print...nothing compares to seeing a print in person. It is in very good condition. Here are photos of the actual print for sale. 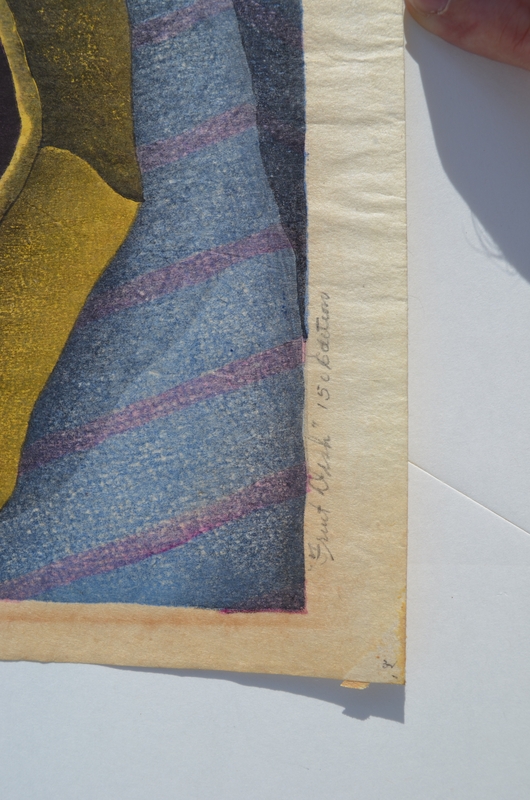 The print appears to be in excellent condition and was professionally cleaned by an experienced conservator in 2001 and has been properly stored ever since. 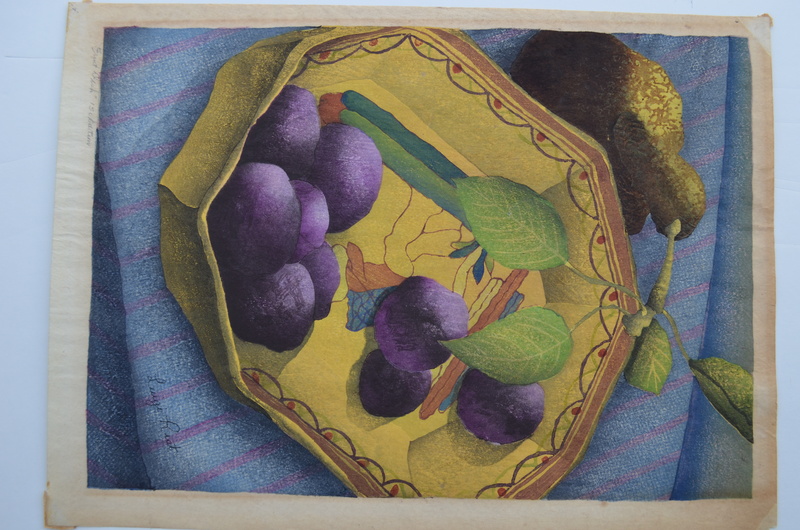 Color woodcut, 1942. Edition of 113. Signed in ink in image, titled in pencil lower margin. Very good condition, possibly in the original frame. POTATOE (sic) SHOOT (Williams 27), Five color woodcut, 1950. Edition of 150. Signed in ink within the matrix, titled in pencil. Condition is Very Good. My retail price is $1350, refundable if not as described. 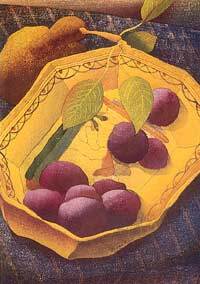 Grapes (Williams 13) Nine color woodcut on laid paper. Signed and dated '43 in ink from the edition of 100. $2975.00 Malbert Fine Arts, Chicago, IL. Straw Flowers (Williams 34) Twelve color woodcut, 1955 on simili Japon from the edition of 100. Signed in ink. $2075.00 Malbert Fine Arts, Chicago, IL. Various Prints in stock. Contact for current info. A color study of Dry Corn on masonite sold for $500. A single wood block used for Roses did not reach a reserve of $400.